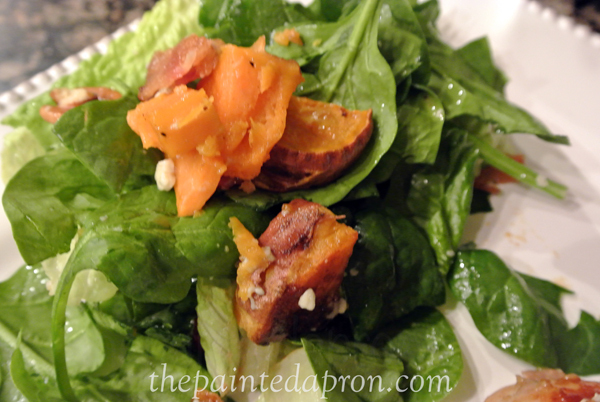 sweet potatoes, maple, and any time is perfect for bacon! 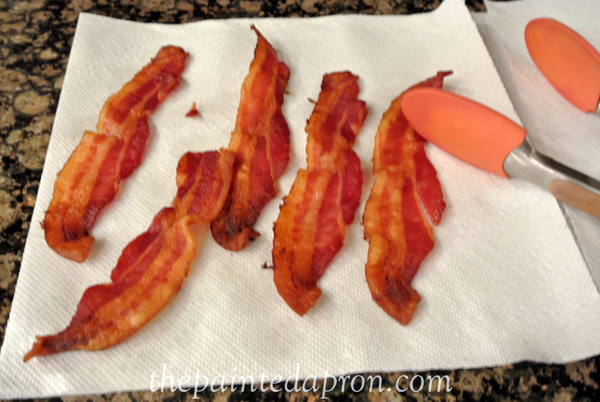 I prefer to cook bacon in the oven if I don’t need the drippings, especially maple bacon which is so easy to burn. If you lay bacon strips on a parchment paper lined baking sheet and bake at 350 for about 20 minutes, it cooks perfectly every time. Watch carefully at the end and drain well once it’s out of the oven and pat with paper towels. You can cook bacon several days in advance, store in your fridge and refresh with 20-30 seconds in the microwave before using. Easy peasy. The whole salad is easy peasy. 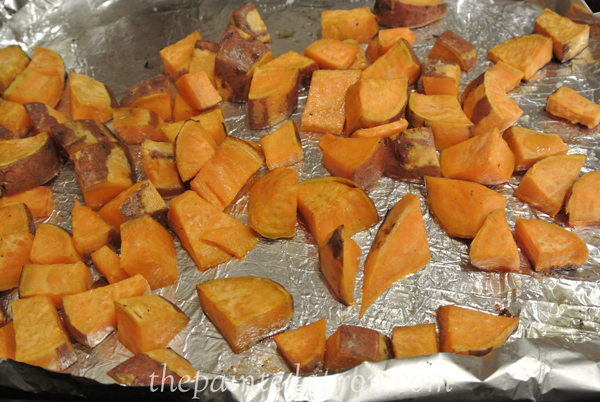 I started to peel the sweet potatoes but I have a really crappy dull peeler, so after a few swipes I just left the skin on and diced up the potatoes. Drizzled with olive oil, salt and pepper they will be perfect after about 30 minutes at 400 degrees. Try not to eat these all up before you get them in the salad, they smell so tempting! 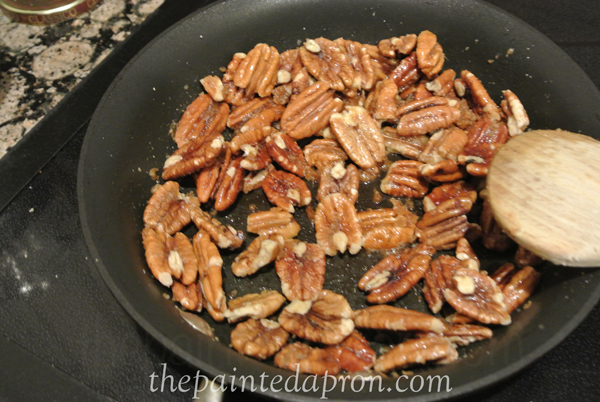 While potatoes are roasting toss the pecans in a skillet with butter, brown sugar and salt. Cook over medium low heat stirring and watching carefully. 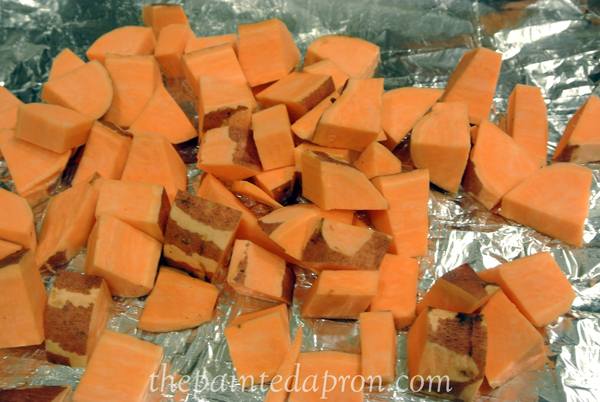 After 5-7 minutes they will start to caramelize and brown. Remove to a sheet of wax paper to cool. Make a big batch and store the rest in jars in your pantry or freezer to have for another time. 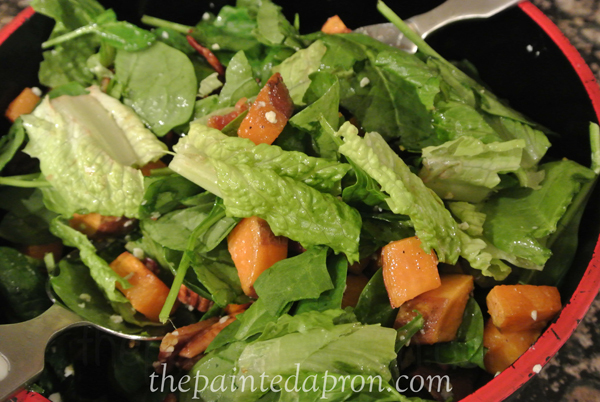 In a large bowl, place fresh spinach leaves and crispy romaine. 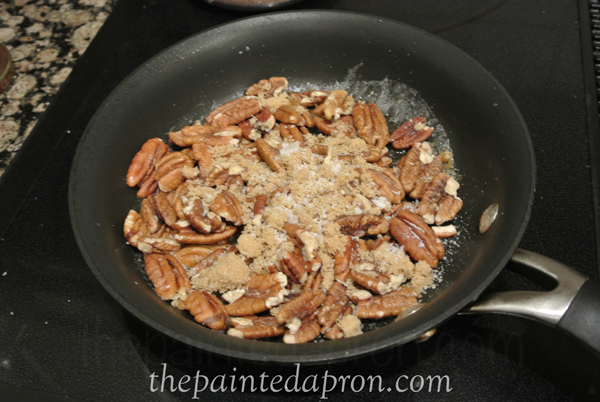 Add warm potatoes, crumbled bacon pieces and pecans and toss with dressing to taste. The Mustard and Maple Dressing is standard in my fridge. The recipe came from Ree Drummond, the Pioneer Woman. It only takes moments to make and is good on just about everything. 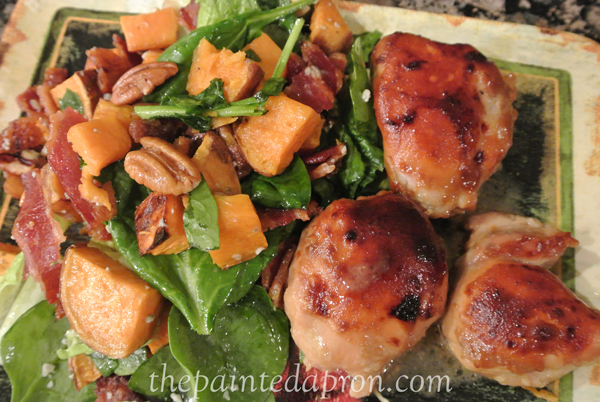 Tangy yet sweet, light and flavorful, perfect! ← Home Decor, 1 Week to Go! 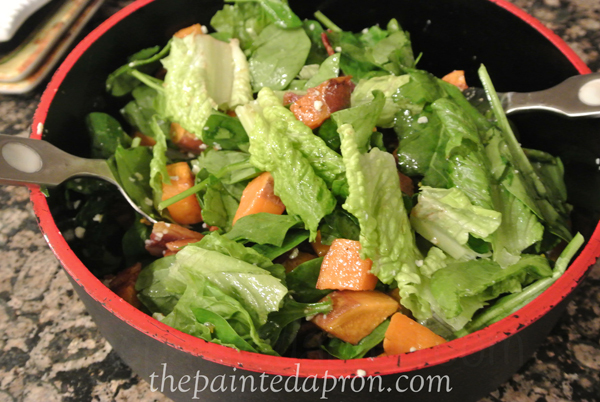 I’m going to the US for American Thanksgiving next week and I’m definitely going to make this salad. It looks so beautiful and healthy too. Have a great weekend. Thanks Robyn, have a wonderful time! Your recipe is on my menu Whats For Dinner Next Week, we are going to really enjoy it. Hope you have a cozy weekend and thanks for sharing your recipe! Oh, thanks Miz Helen! I am so flattered! You have a cozy weekend too!